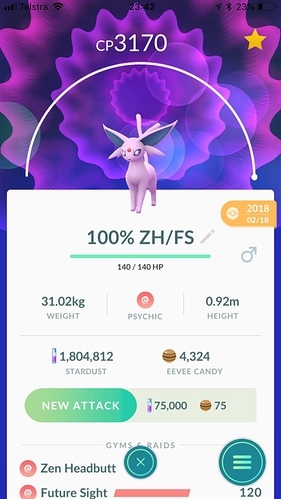 Gone a little bit nuts tonight using 900K Dust Maxing a few things out. 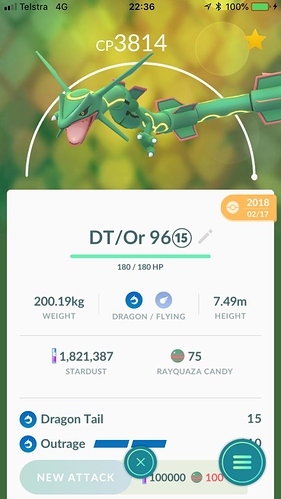 With 120,000 dust I finished powering up my ground Rhyperior to max and a couple power ups on dragonites. Took this one all the way as soon as the announcement came out about Mammoswine. 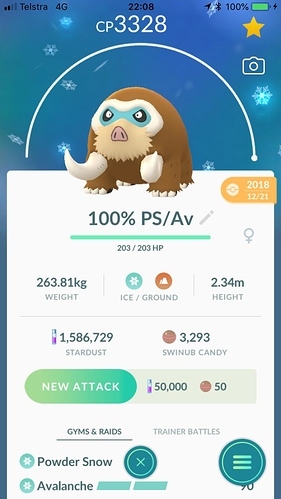 This joins the 2 98% also MAXed Out with the Stones in the Bank ready to to go. With only 2 days remaining I finally got my best IV Kyogre Maxed out. Added a few more in response to Palkia’s buff, namely my hundo Granbull and 98% Clefable to be in my beta team. 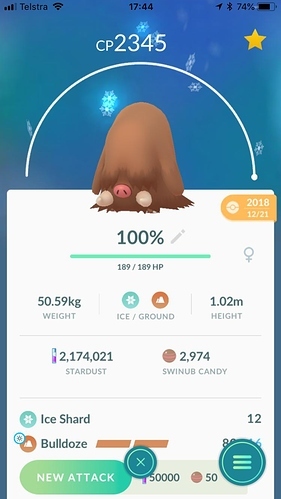 Bolded are hundos. 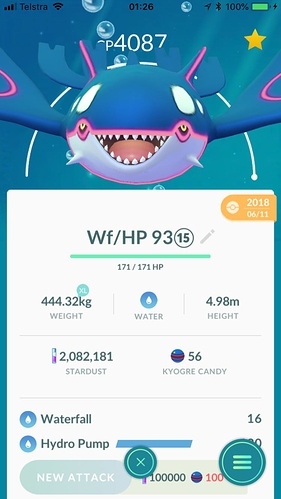 Only need a 4 more Power Up’s so finished my 3rd MAXed Kyogre off. Espeon has been added to L40 MAXed Club. Took the big gamble with some of the 100% Eevee and thankfully got my Flareon and Vaporeon in the first 2 evolutions. 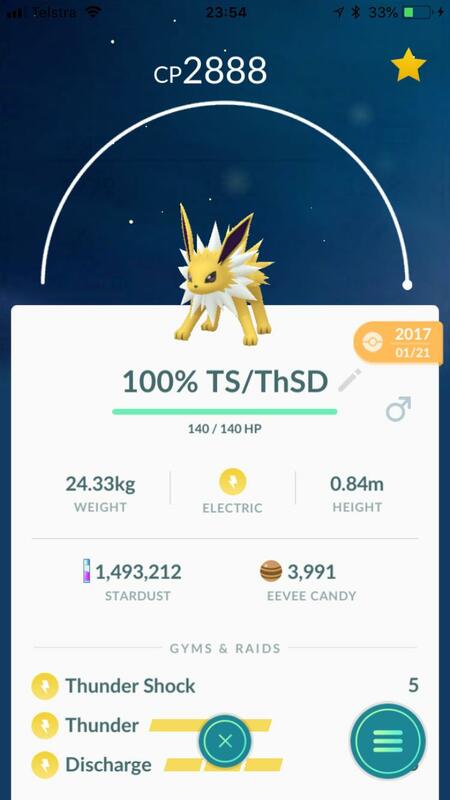 Maxing out of Umbreon and Flareon will have to wait now. Couldn’t contain myself and had to Max Out one of my original favourites. I’ll have dust spend remorse tomorrow. 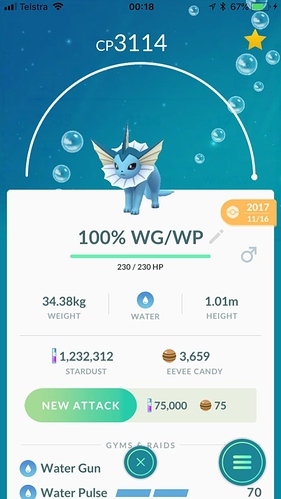 Who else is maxing out these? 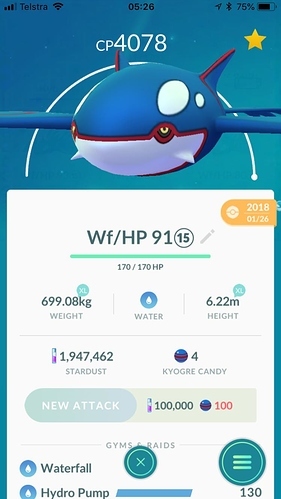 I had one maxed out before Rhyperior became a thing. 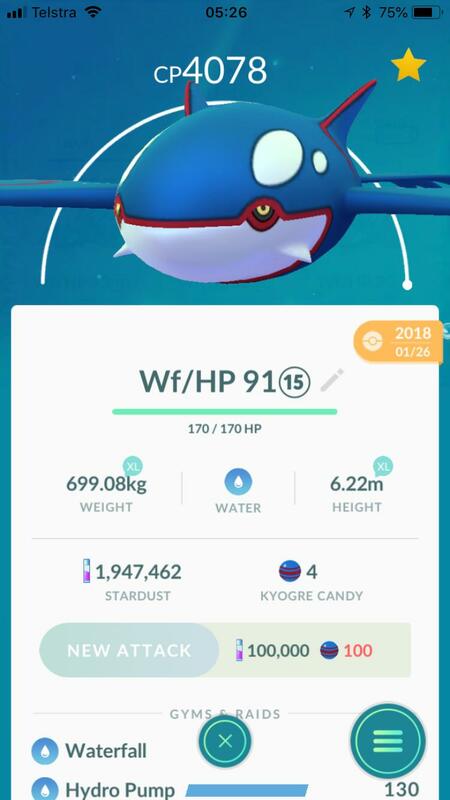 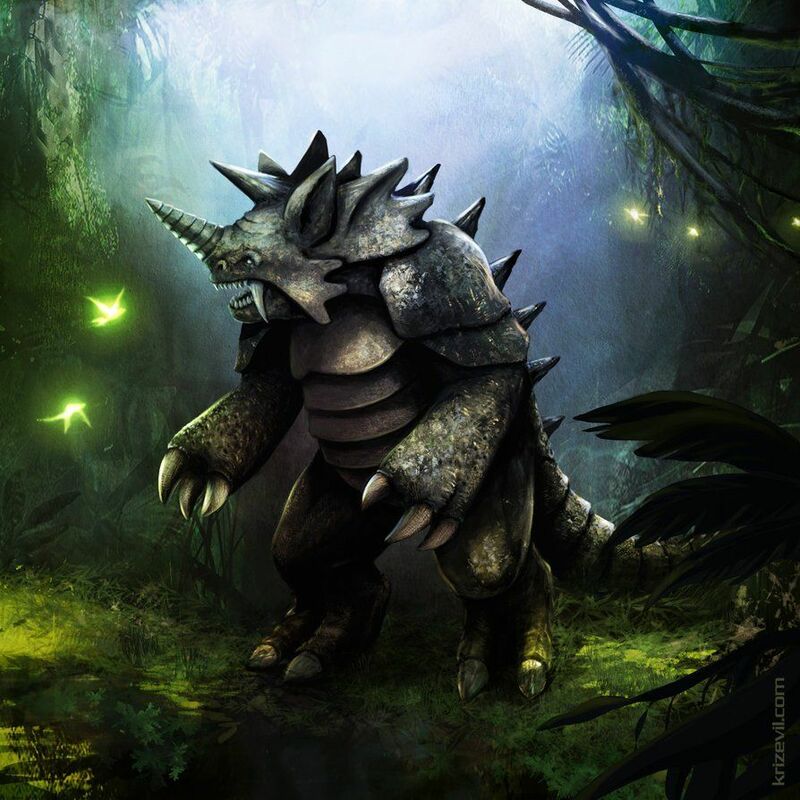 It’s now a Rhyperior obviously. 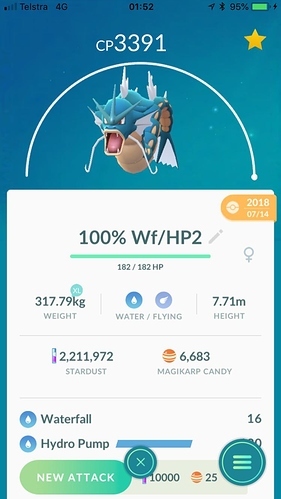 Only 2x Ryperior for now. I have quite a few high CP 100% Rhydons I could finish off but they can wait. 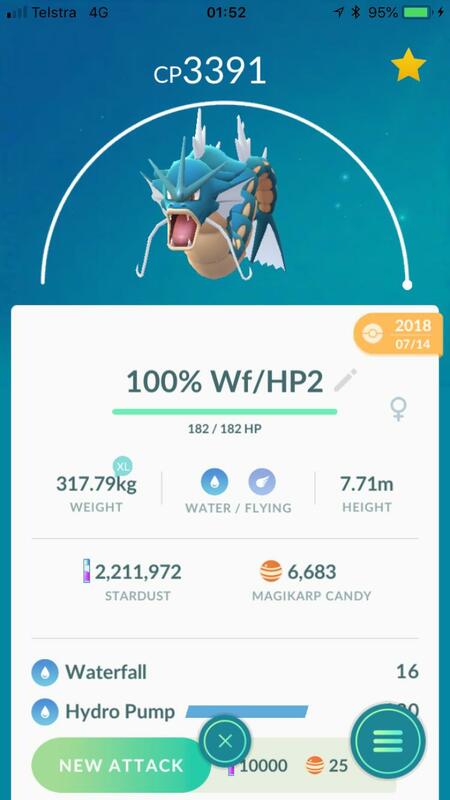 Updated mine before Dialga was released, four more leveled up to 40, adding Quagsire, Heatran, Breloom and Heatran. Bolded are hundos. 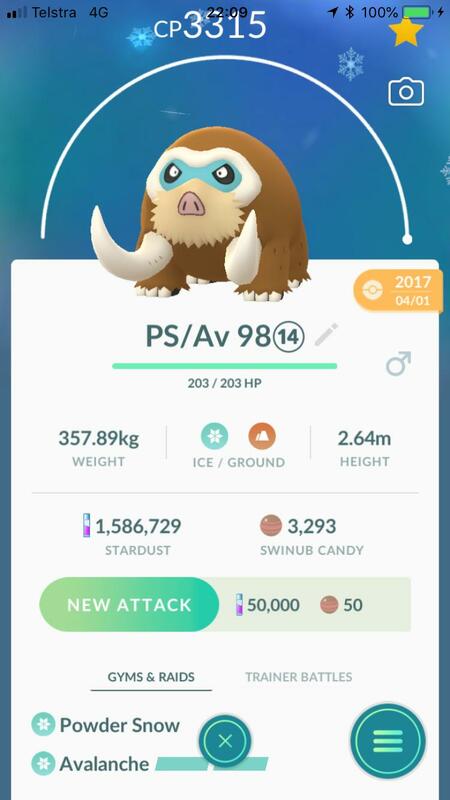 Added a 4th Mamoswine to the Rayquaza destroyers list. 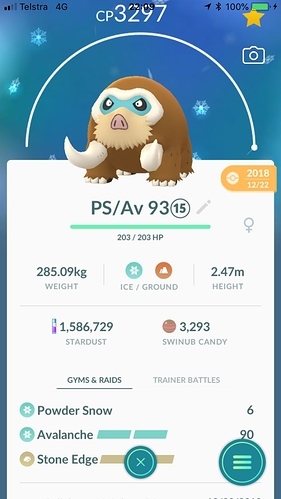 Hadn’t posted pics of Mamoswine since evolving them from the 3 Piloswine I had Maxed out.